What if you found out that you were paying significantly more for electricity and natural gas because your energy broker manipulated energy supply price offers, with the intent of steering you to a pre-determined supplier, to satisfy a hidden agenda? Based on what I am seeing in the marketplace, this is happening. This blog post is about a disturbing new tactic being used by energy supply brokers to ensure they get what they want. What do they want? They want to make money by embedding hidden upcharges into the natural gas and electricity prices they provide to energy consumers that work with them, while maintaining the illusion that what they do is of “no cost to you”. But why the need for a new tactic? 1) A growing number of energy suppliers are requiring energy broker upcharge disclosure within energy supply agreements. Since the energy broker sales model is based on a “no cost to you/my fee is paid by the supplier” pitch, upcharge disclosure requirements upend the energy broker sales model. How can an energy broker claim there is “no cost to you” when the energy supply agreement states otherwise? 2) An increasing number of energy suppliers are opting to reduce or eliminate the number of energy supply transactions done through energy brokers with the intent of up-sizing their direct sales efforts. This means that energy brokers don’t have as many supplier channels through which they can embed hidden upcharges into energy supply prices. Consequently, energy brokers are finding themselves in a squeeze. They have become more desperate to find energy suppliers that will not only work with them but also allow them to embed hidden upcharges into energy supply prices without forced upcharge disclosure. To get around this, energy brokers have devised a deceptive tactic. 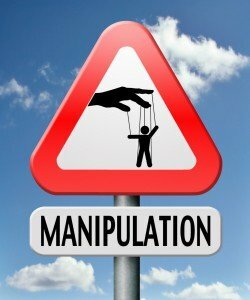 The tactic – manipulate the energy supply prices received from energy suppliers to steer the energy consumer to an energy supplier that will allow them to embed hidden upcharges without disclosure, while simultaneously avoiding acknowledgement that there might be better offers from other suppliers that don’t work with energy brokers. The energy broker has garnered offers from three electricity suppliers. The prices differ. Two of the suppliers require upcharge disclosure, and one does not (see table below). Remember, the energy broker does not want upcharge disclosure. To get around this, the energy broker manipulates the price offers so that the energy consumer will choose electricity supplier C, the one supplier that does not require upcharge disclosure. To ensure that the energy consumer will not go with electricity suppliers A and B, the energy broker loads the price offers from suppliers A and B with higher upcharges (see table above) than those embedded into electricity supplier C’s offer. When, the energy broker presents the manipulated price offers to the energy consumer, the price from electricity supplier C looks more attractive. Consequently, the energy consumer elects to move forward with electricity supplier C (“The Winner”). It’s pretty simple, but diabolical and costly. The cost impact is threefold. First, the energy consumer is unaware that upcharges are built into the electricity prices in the first place because the energy broker has indicated that their brokering service is of “no cost”. Second, the energy consumer misses out on the cost benefit associated with the price offer from electricity supplier A, the supplier with the lowest pre-manipulated price. Third, the energy consumer misses out on even better offers from the energy suppliers that won’t deal with the energy broker. The energy consumer is unaware that better offers may exist because energy brokers will not disclose that there are energy suppliers that won’t work through them. If there was a supplier D that had an available offer of $54/Megawatt-hour (MWh), the total impact to the energy consumer is $9/MWh ($63/MWh – $54/MWh). Assuming an annual usage of 10,000 MWh, or 10,000,000 kWh, the annualized cost impact is $90,000. Question #1: Do you know if your electricity or natural gas prices include hidden energy broker upcharges? Question #2: Do you know which energy suppliers won’t work with your energy broker? Question #3: Do you know if your energy broker has manipulated energy supply prices to steer your energy supplier choice to satisfy a hidden agenda?